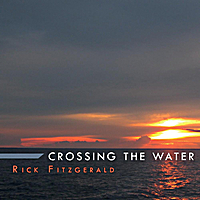 Rick Fitzgerald’s second album, “Crossing the Water,” is now available through CD Baby! You can order online, hear clips of all the songs, and read reviews of the album. Of course, you can also order directly from Root River Music if you are so inclined. Enjoy acoustical folk music that will tug at your heart and tickle your funny bone. Contemporary and traditional tunes, songs and ballads featuring the diatonic autoharp, voice and guitar.